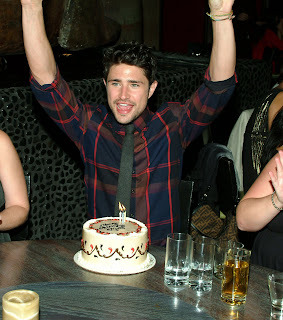 Saturday night at TAO Las Vegas was the party spot as ABC Family’s “Kyle XY” actor Matt Dallas celebrated his birthday in true TAO Las Vegas style. Dallas and a group of 12 friends started off the evening at the restaurant dining on TAO’s signature Chilean sea bass and assorted sushi platters. The restaurant surprised Dallas with a delectable cake and his friends sang along happy birthday as he blew out his candles. After the cake, the group made their way to the nightclub to continue the birthday celebration. At one point in the evening, the entire club sang happy birthday once again to the “Kyle XY” actor as sparklers were brought out.Also celebrating a birthday in the nightclub was BET Network’s executive vice president Stephen Hill. Partying at the owner’s table on the dance floor was comedian David Spade, who arrived at the nightclub after his stand-up comedy show. Spade and friends imbibed on Goose vodka and enjoyed the night listening to the sounds of DJ Roktakon.